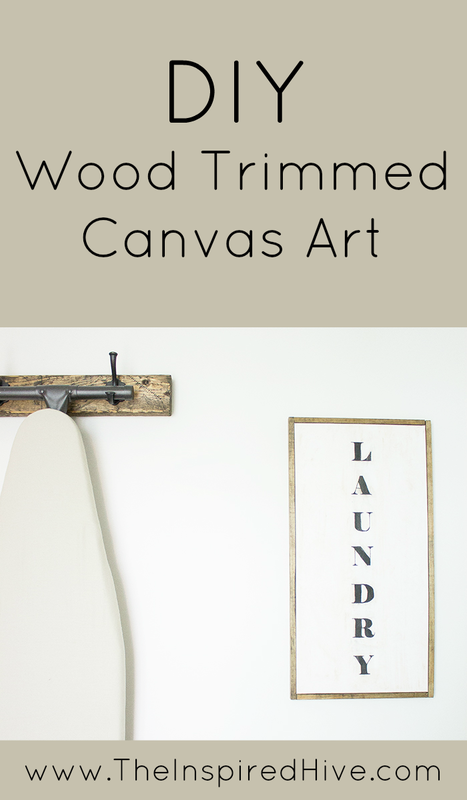 Okay, okay… I know I’ve been dragging you along waiting for the laundry room reveal… I PROMISE this is the last project before you get to see the whole thing! Pinky promise! 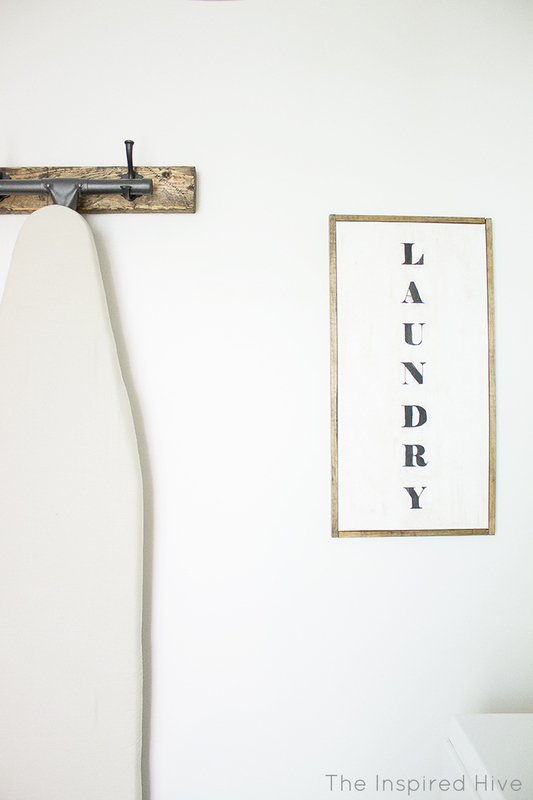 I’ve spent the last few weeks collecting pretty rustic and farmhouse decor to put on the laundry room shelves, but I started to feel like the walls needed a little something extra. 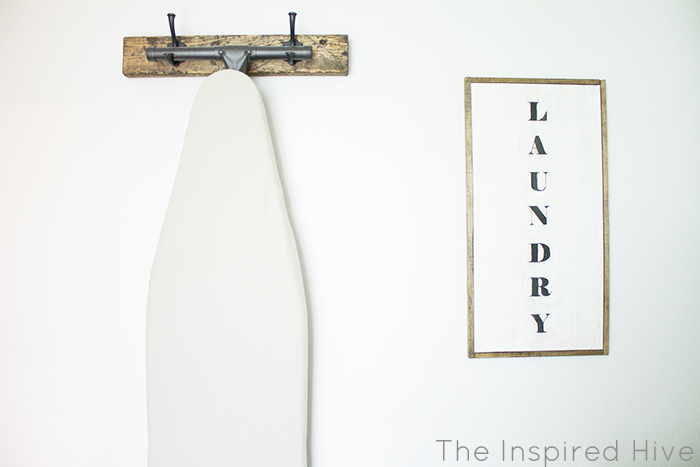 Other than the rustic ironing board hanger I made, there is nothing on the walls. 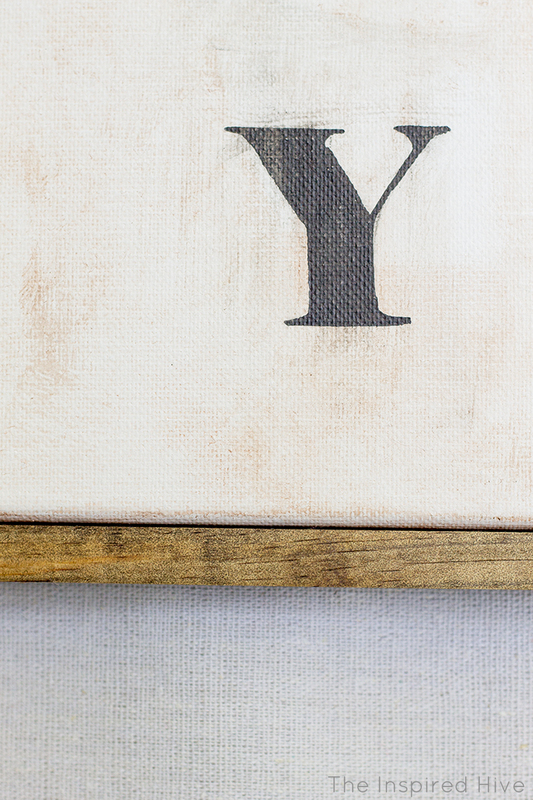 So, I decided to try making one of those cute farmhouse wood trimmed canvases I’ve been seeing all over Pinterest lately. Please see my full disclosure policy. 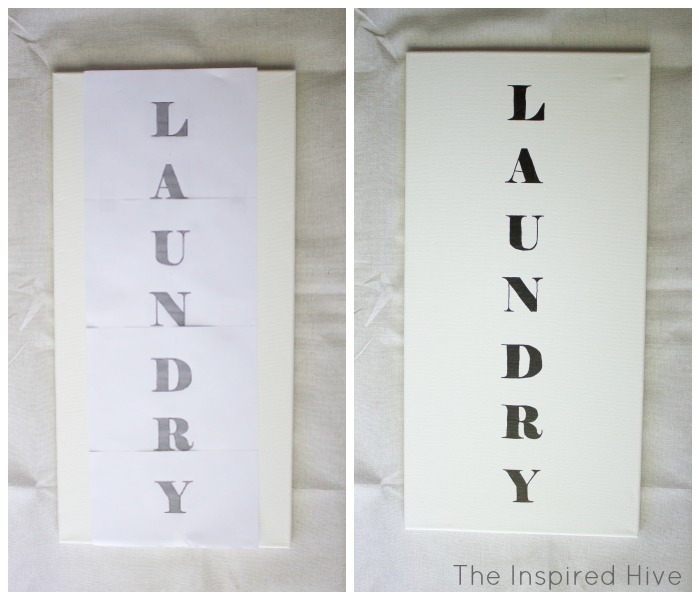 First, I used my absolute favorite method for transferring text to add the word “LAUNDRY” going down the length of my blank canvas. 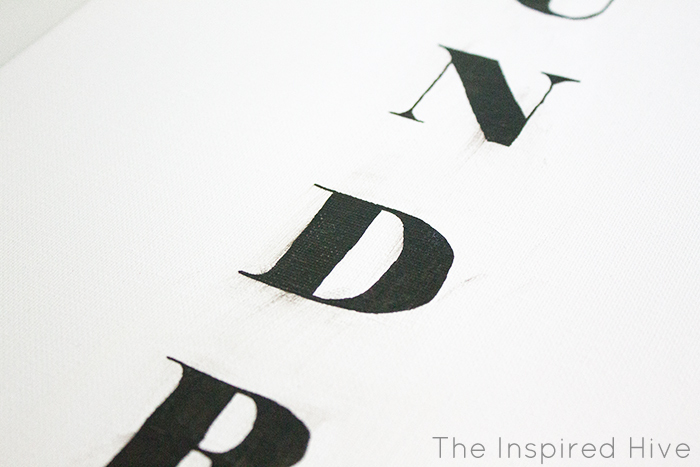 You can get my step by step tutorial for transferring text here. I used my favorite marker for making signs, but I think next time I would use a regular permanent marker because I actually had problems with the archival ink bleeding under the wax. While that was drying, I created my wooden frame. I cut the lattice trim to size and quickly stained it using my favorite stain and another one of those great disposable cloths! I didn’t bother to seal or varnish it. Once the canvas was dry, I framed it out using super glue! I didn’t have any small enough nails that could hold it together without splitting the wood, so I hoped a little super glue would do the trick. And it did! 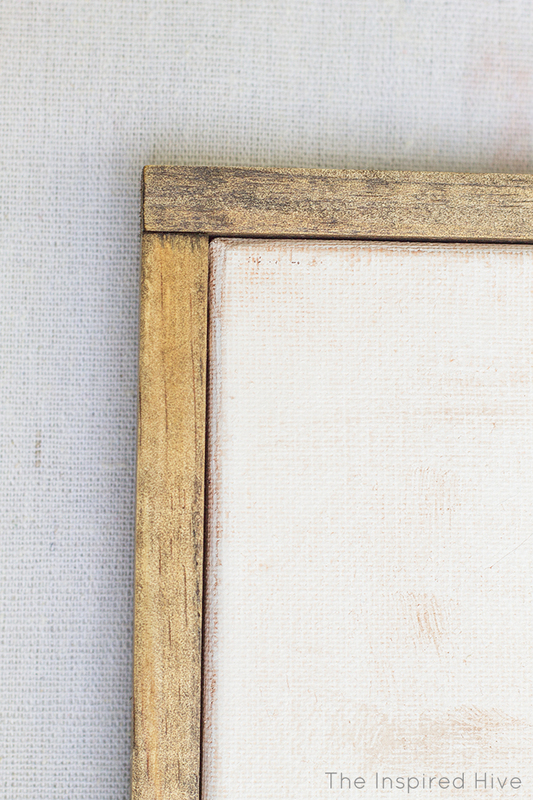 I added a small amount to the ends of the trim to hold them to each other, and I also applied a little along the edge of the canvas to attach the frame to the canvas. I was worried that the glue might not stick to the waxed surface, but it worked fine and the frame fit snugly, so I wasn’t worried about it sliding off anyway. 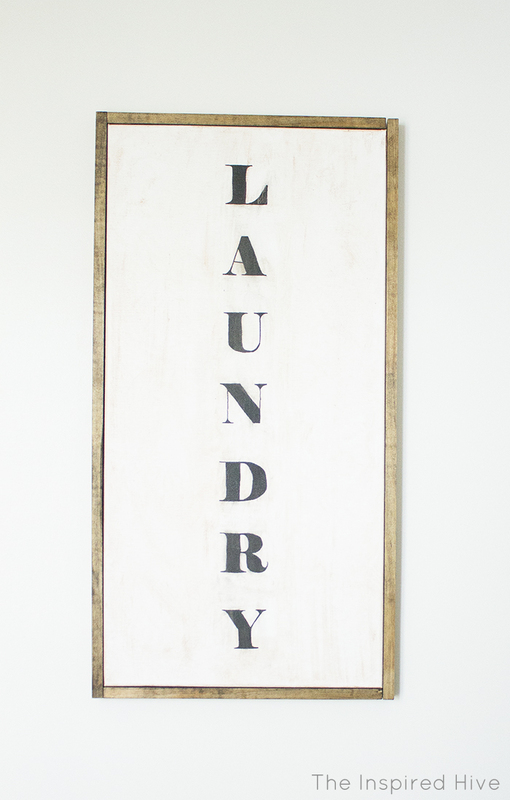 I hung it up and stood back to admire the finally finished laundry room! It felt so good to see the last finishing touch hanging on the wall! I’m so excited that this huge project is finally finished and I can’t wait to share it with you!